Dr. Doherty attended Creighton University School of Medicine from 1989 - 1992. He completed Residency training at the Creighton - Nebraska Universities Health Foundation Joint Residency program from 1992 - 1995. Upon completion of residency, he worked in Hastings, NE at the Children and Adolescent Clinic from 1995 - 2003. In 2003, he left rural practice to become the Medical Director of the Hospitalist Service at Omaha Children’s Hospital & Medical Center until 2007 at which point the returned to general pediatric practice in Omaha with Boys Town Pediatrics. He remained in this position until Dec. 2008. He now practices as an Emergency Staff Physician at Children’s Hospital & Medical Center. He has been Board certified by the American Board of Pediatrics since 1995. He has been a member of the American Academy of Pediatrics, serving on the Nebraska chapter executive board from 1997 - 2007. Other organization memberships include Association of Pediatrics Program Director, Ambulatory Pediatrics Association. From April of 2000 to early 2018, Ms. Colpitts was the residency coordinator. Upon assuming this role, she brought new life and vigor to the program. Residency coordinators by nature function as confidants and advisors to the house staff, a role Ms. Colpitts has taken to new levels. The residents rely on her knowledge and trust her implicitly. She is also instrumental in the recruitment process, making every student that interviews feel respected. Prior to being educational programs administrator, Ms. Colpitts worked as curriculum coordinator for the Creighton University Department of Pediatrics, where she became well versed in the medical school process. As she became adept at this job, Ms. Colpitts also took an active interest in curriculum development based on evaluations collected from students during the course of the year. In addition, Ms. Colpitts also functioned as an on-site residency coordinator for the joint pediatric residency program. Dr. Goodrich received his M.D. from the University of Nebraska College of Medicine in 2013. He completed his pediatric residency at the UNMC-CUMC-Children's Hospital & Medical Center Joint Residency Training Program. He joined the Division of Pediatric Hospital Medicine in 2016 upon completion of his training. He has active research interests in medical education, simulation education, and inpatient respiratory pathology, particularly inpatient asthma management and outcomes. Dr. Goodrich is board certified in Pediatrics and is a member of the American Academy of Pediatrics and the Society of Hospital Medicine. Dr. Pitner received her M.D. from the University of Nebraska College of Medicine in 1990. She then completed a 3-year Pediatric residency and a fourth year as chief resident in the Creighton-Nebraska Universities Health Foundation Joint Pediatric Residency Training Program. After a year on staff in the Pediatric clinic at UNMC, Dr. Pitner completed a fellowship in Academic General Pediatrics and earned an MPH at the University of Texas Health Science Center in San Antonio from 1995-1997. She has been back on staff at UNMC since 1997. 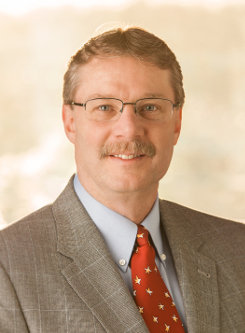 Dr. Pitner has been board certified in Pediatrics since 1993 and is a member of the American Academy of Pediatrics, Ambulatory Pediatric Association, Association of Pediatric Program Directors, and the Metro Omaha Medical Society. Dr. Sieczkowski received her M.D. from the University of Nebraska College of Medicine in 2000. She completed her pediatric residency at Phoenix Children’s Hospital and Maricopa Medical Center in Phoenix, AZ. She then moved to Sioux Falls, SD, where she spent several years as a general pediatrician and child abuse specialist. Next, she moved back to Phoenix where she worked as a hospitalist for several years. In 2009, Dr. Sieczkowski moved back to Omaha and joined the Hospitalist Division at Children’s Hospital & Medical Center. She is board certified in Pediatrics and a member of the American Academy of Pediatrics and the Society of Hospital Medicine. Dr. Sparks received his undergraduate degree from MIT, and his medical degree from the Harvard Medical School. He completed residency in Pediatrics and fellowship training in Neonatal-Perinatal Medicine, both at the University of Colorado. His second year of that fellowship was spent at the Laboratoire de Physiologie du Development, College de France, Paris. Dr. Sparks served on the faculties at the University of Colorado and the University of Texas Medical School - Houston before coming to the University of Nebraska in 2008 as department chair. Dr. Sparks is a highly respected researcher in the area of Neonatal-Perinatal Medicine. His research interests include metabolism, nutrition and growth of the fetus and newborn. He has many clinical interests, including neonatal nutrition and medical ethics. Dr. Sparks has also been recognized for his teaching of medical students, residents, and fellows. Dr. Zach is the chief of the Joint Division of Newborn Medicine in the Department of Pediatrics at Creighton University Medical Center and the University of Nebraska Medical Center. Dr. Zach is also a professor in the Joint Division of Newborn Medicine at Creighton University Medical Center where he serves as the Chairman of the Department of Pediatrics. Dr. Zach received his medical degree from the University of Nebraska and completed fellowships in pediatric infectious disease and neonatology at the University of Minnesota. Dr. Zach has published extensively and is a well-respected lecturer on a wide-range of neonatal issues. Additionally, he has served as the principal investigator on several privately- and federally-funded research studies.